I don’t think I’m exaggerating when I say that this Valentines Day was the best one I’ve had in a long time. To tell the truth, I’d kind of been dreading spending the most couple-centric day of the year alone. But if there’s one thing I’ve learned about managing grief and depression it’s to be prepared. So I set about planning the most awesome Valentines Day I could imagine for myself. And I am proud to say that it worked a treat. There wasn’t a single moment during the day when I thought to myself “I really wish that I had a boyfriend”. 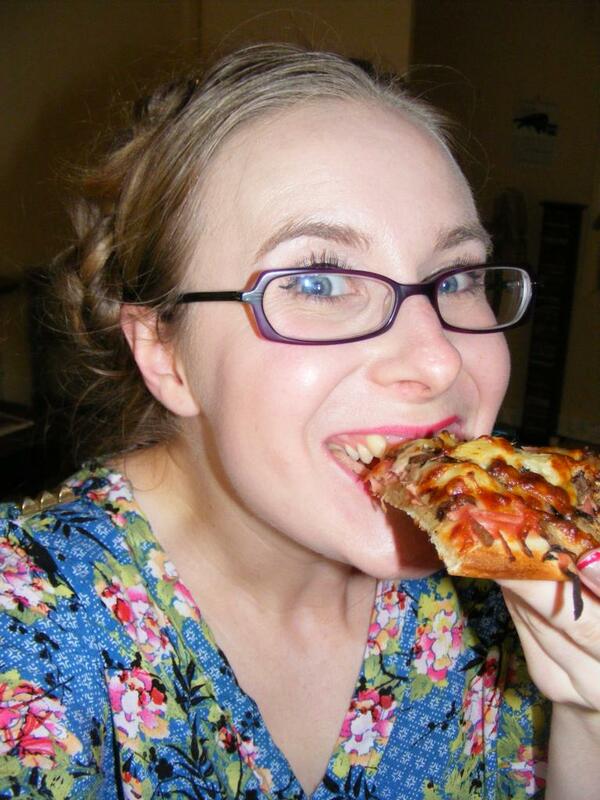 I was so absorbed in the fun me-time activities that I’d planned that I didn’t have time to lament my single status. I had an amazing day and I feel quite proud of myself for making it so special for myself. So, what did I get up to? So glad you asked! 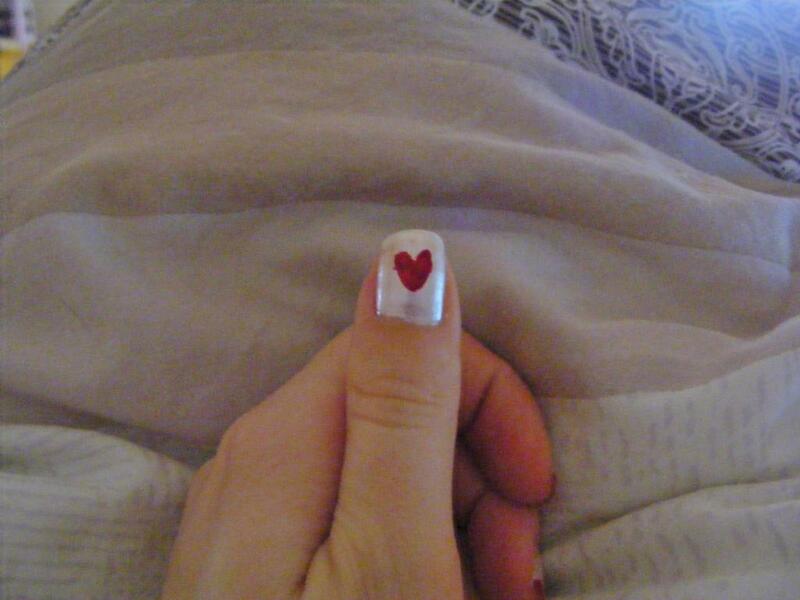 The night before I gave myself a Valentines-themed manicure, with little hearts on my thumbs. 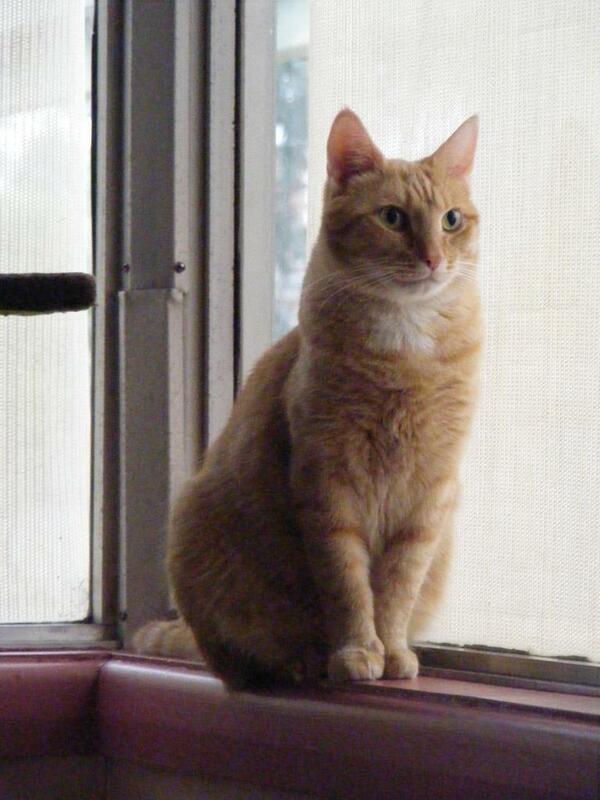 When I woke up Mr Ringo was perched on the windowsill, watching the birds. He immediately hopped over onto the bed for snuggles before it was time to get up for breakfast. I’d fixed my favourite breakfast food, Bircher muesli. I don’t make it very often because it requires a bit of forward planning and I’m not usually that organized when it comes to breakfast. 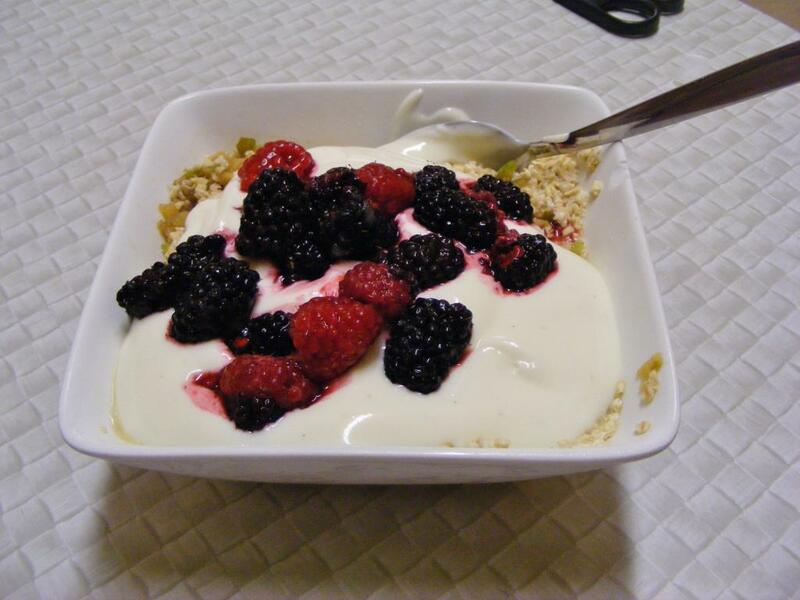 I topped it off with vanilla yogurt and fresh berries (hand-picked by me). 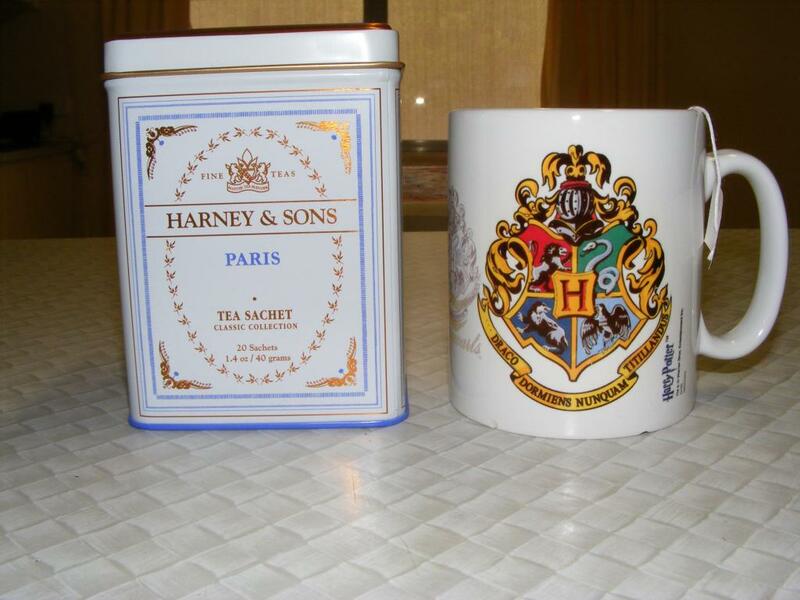 I accompanied my breakfast with a cup of Paris tea, which was a gift from the lovely Miss Fairchild. I ate my breakfast slowly, savouring every mouthful while I read a glossy magazine. Bliss. I also treated myself to some gorgeous presents. Although I have a lot of non-traditional values, I still like to get more traditional presents on Valentines Day. To me, jewelry and lingerie are wonderful gifts for this romantic day. So I treated myself to a little of each. I like the idea of getting flowers for Valentines Day, but flowers wilt so quickly (especially in the Australian summer heat). 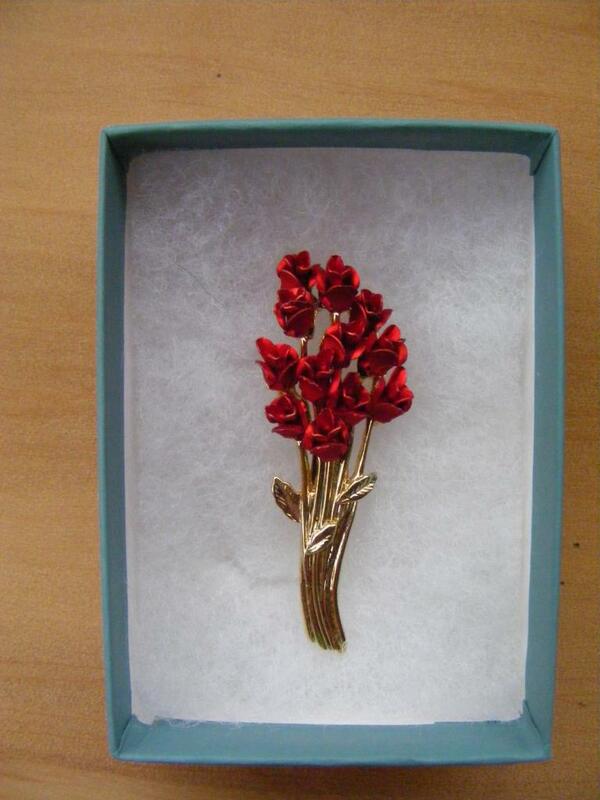 So instead I opted for a vintage brooch in the shape of a bouquet of roses. These babies will be red and blooming for all time. 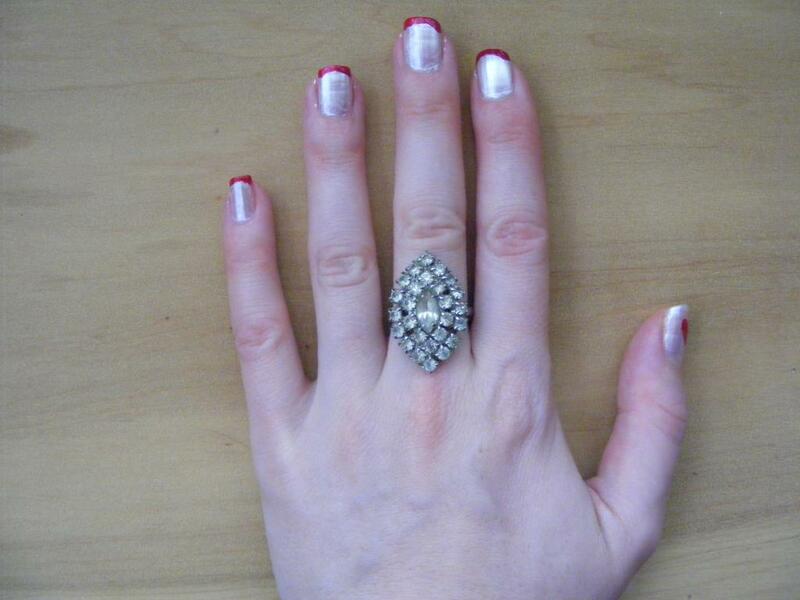 I also wanted to “put a ring on it” this Valentines Day. 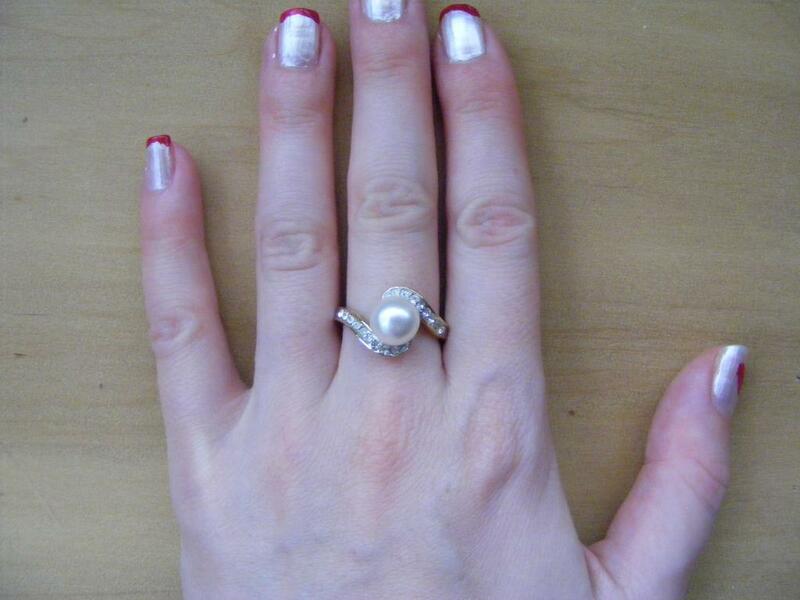 I’ve spent the last five or so V-days anxiously hoping for an engagement ring, only to be disappointed. 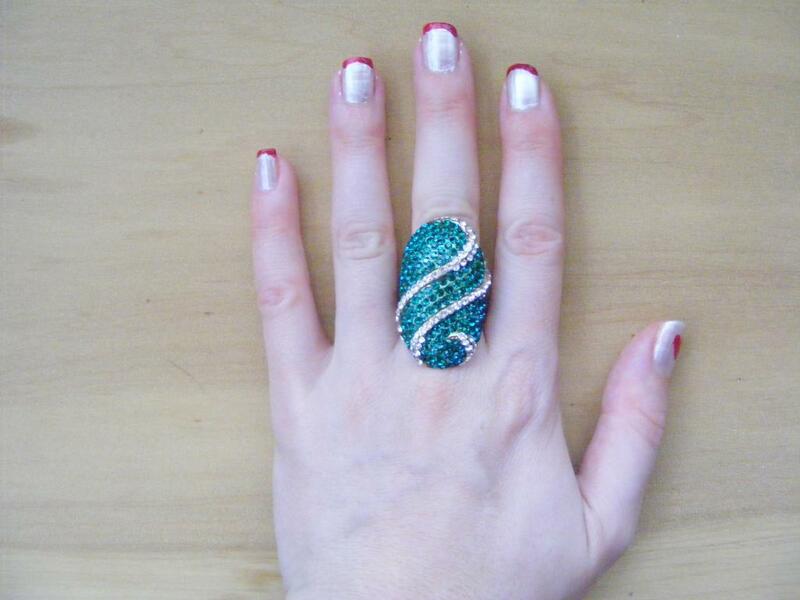 So this year I decided that I’d buy myself a little bit of finger bling. I went looking for vintage cocktail rings and in the end I found three that I loved. So I bought them all. Sometimes, you gotta treat yo self. All of my vintage jewelry came from Fayebella on Etsy. I definitely recommend that you check out her store. She’s got an amazing selection and her prices are crazy good. I also treated myself to some gorgeous underthings from Katastrophic Designs. These are all hand-made from organic cotton and they are so comfortable and super-cute. They fit perfectly and look wonderful. I had to go to work for the afternoon, but as soon as I got home I jumped on my yoga mat and treated my body to some restorative asanas. 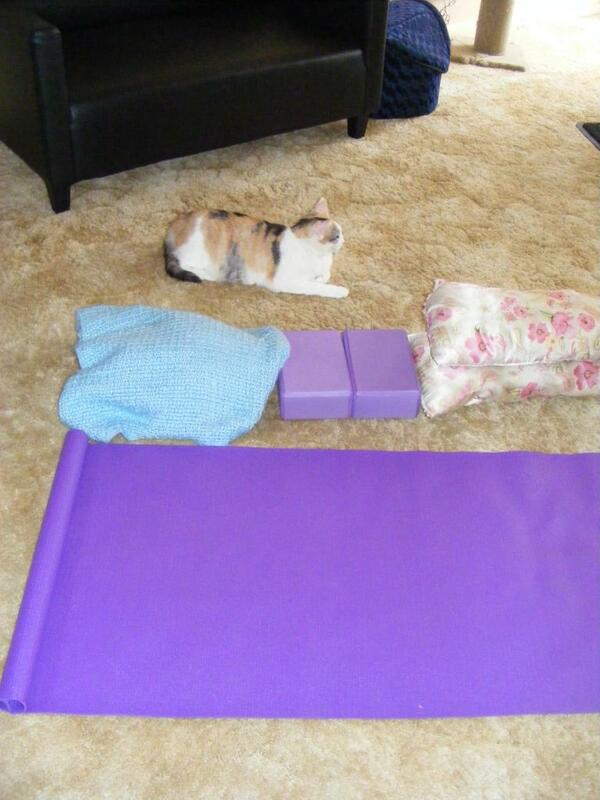 Everything you need for restorative yoga: a mat, blocks, bolsters, a blanket and a kitty-cat. For dinner I ordered my favourite pizza (Harley’s Deluxe: ham, cheese, mushrooms and pineapple) and washed it down with a glass of icy-cold ginger beer. 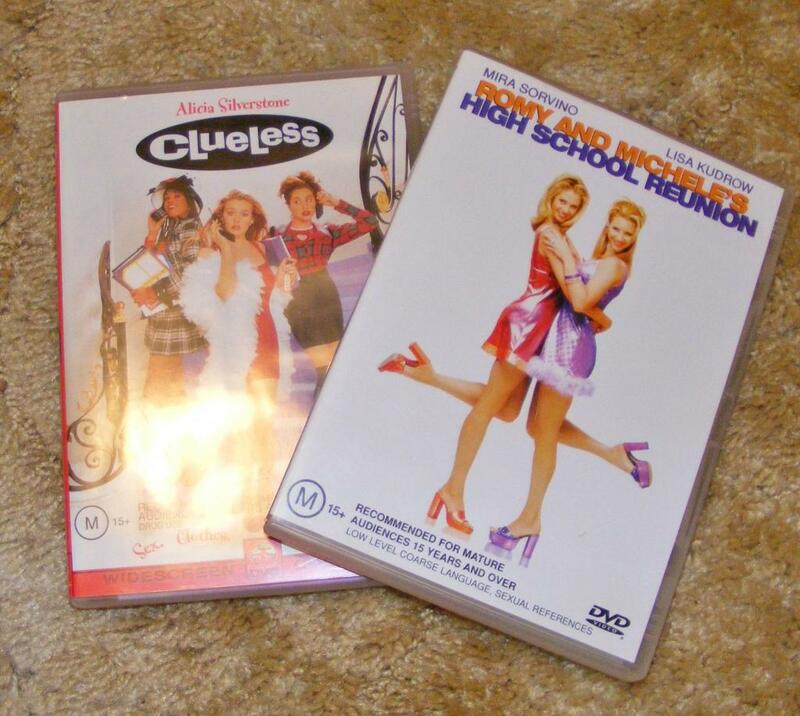 Then I settled in with some knitting to watch two of my all-time favourite films: Clueless and Romy and Michele’s High School Reunion. 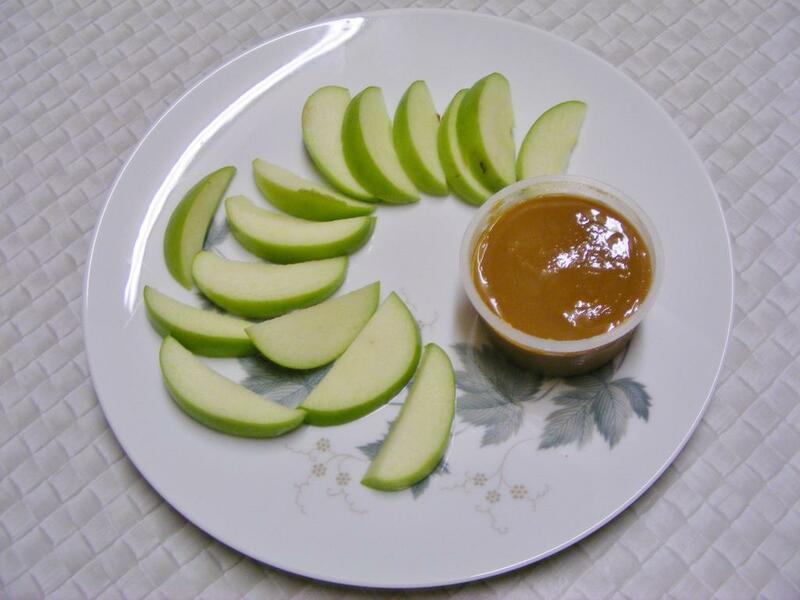 For dessert I had Granny Smith apple slices with salted caramel dipping sauce. It was delicious. So my Valentines Day was pretty darn amazing. Next Tricks for improving your yoga practice. Ohh! Now that sounds like an awesome day! I love those rings and that underwear is awesome! I have way too much lingerie 😛 Glad you had a good day! Thank you! I am in love with the underwear. Not only is it so pretty, it’s ridiculously comfortable too. I used to have a HUGE problem with buying too much lingerie, but I’ve scaled it back in the last few years. No kidding, that is one flat out awesome Valentine’s celebration!!! I love that you treated yourself to some beautiful presents, too.  It’s so important to do that for ourselves every now and then, and the holidays are definitely a “then”. This Valentine’s Day was one of my favourites in a long time, too. Tony spoiled me with gifts (we usually don’t give presents for the “smaller” holidays, more so just for birthdays and Christmas, for the sake of our household budget), including three books and a much needed pair of slippers (I hadn’t had any for nearly two years), I whipped up a yummy homemade pasta dinner followed by warm-from-the-oven chocolate chip cookies (everything was GF of course, so that I could eat it), and then we watched some movies on Netflix. Sweet, relaxing and oodles of fun, just how I prefer my Valentine’s Day to be. That sounds like a wonderful Valentines Day. I much prefer laid-back celebrations that are full of personality and heart. Some of my fondest memories of Valentines Days past are of the more laid-back celebrations. Such as when my high-school boyfriend and I went out for a picnic of fish and chips down the lake, and he presented me with a bouquet of roses from his mother’s garden. Or when my last boyfriend and I spent the evening watching Judd Apatow films and eating red velvet cake in bed. Sometimes the day doesn’t have to be elaborate to be wonderfully romantic. I’m so glad your Valentines Day was wonderful. You certainly deserve it! I think one of the reasons that I enjoyed this Valentines Day so much was that I knew exactly what I wanted and it perfectly aligned with my expectations. In the past, I think I’ve been disappointed when many Valentines Days haven’t lived up to my expectations. I learned a valuable lesson this year: if I want something, I can always provide it for myself. Don’t wait for someone else to give it to you. I also learned that perhaps I need to rethink my expectations, or speak up if my needs aren’t being met rather than hoping that a partner will guess what I need. This Valentines Day was really restorative for me, but it also provided a lot of food for thought. I’d love a Valentine’s like this! Do it! Don’t wait until next Valentines Day. Why not have a little me-party this weekend? Oh, that sounds like an absolutely wonderful Valentines Day! I am always in favour of a more laid-back approach to romance. It can be so much cozier to curl up and relax with your beloved than traipsing out to a restaurant or a movie. Congratulations on your first Valentines Day as Mrs Slippers! I wish you both all the best.